I had a post all planned out that I wanted to write about how being a mom is such a hard job and how you can feel so insecure about all the choices you make. I've had a hard time lately thinking about how us mothers are so quick to judge or make other mothers feel bad because they don't make the same choices as we do. Whether you breastfeed, use formula, are a working mom or a stay at home mom, whether you use cloth diapers, make your own food or use store bought, whether you home school or send you kids to public school.......we are all (hopefully) trying to do the best for our children and families. I think as mothers we should know we are all in the same club and try to lift each other up.........not tear each other down because we aren't all doing things the same way. I have something much more important on my mind right now. This is my beautiful, sweet, precious friend Katie. She was set to deliver her daughter Reese in a couple of weeks and today had to go in for an emergency c-section. I don't know full details but from what I've gathered baby Reese was not breathing and they are now saying she is brain dead and may be taken off machines tomorrow. (I don't know if I have everything correct) but can you PLEASE pray for Katie and her husband Jason. They delivered in the same hospital where I had Harper and I partially know the emotions they are going through right now but I can't imagine how hard this really is. Please lift them up. They are a Godly couple but they are going to need their faith to make it through. I know so many of you have lost children and I can't even begin to understand how hard it was. I am just sick over this. It's just so hard to understand why this would happen to such a wonderful couple. Absolutely I will! Praying right now! So sorry to read about your sweet friend. I'll be praying here in North Texas. Oh Kelly, Im about to cry! I read their blog and they are so precious and sweet. They have already been through so much with her hospital stay. I just pray baby Reese can make it! Thanks for sharing! Thanks for posting this I will pray for them, and I will also pray for a miracle for baby Reese. As a new mom it breaks my heart to know how abundantly blessed we are when our babies are well and healthy and the unimaginable pain when they aren't, especially if it means losing them. I will be praying for God's undeniable presence and peace for them in this time. I do not know Katie or her husband but I have being following her blog. She seems to be a sweet lady. I will pray for her and her family during this difficult time. May God be with them! Thanks Kelly for such a great blog! You have helped me be a better mom and become closer to Christ. Thank you Kelly!! Lifting them up in prayer!!!!!!! My heart breaks for them.....I can. NOT. imagine! I am praying for peace and understanding and strength. Dear Lord, hold them in your arms!!! and i agree with you on the mom stuff. we all do things differently but we all love them so much. I am so sad for Katie and her husband. I will be lifting them up in prayer tonight and praying that a miracle happens! Just added the family to our prayer chain! Please keep us updated! Praying for this couple and their baby. I am praying for Katie and Jason as well as baby Reese. I had a friend go through a similar situation and I know that they will be needing prayers and support as the days unfold. God is a faithful and merciful God and I know that He will see them through this time. Oh, Kelly, I'm so sorry about your sweet friend. Such heartache! Love and prayers from Southern Ohio. Kelly, I'm praying for your friend and her family. I can't imagine what they must be going through right now - how very heartbreaking. Wow! Prayers are going up right now. I know that their emotions have to be all over the place right now. Earlier this month, I had a miscarriage and it was so hard and emotional. I know that after 10 weeks I was so sad. I can't imagine going through a whole pregnacy and delivery and losing a baby. I will pray for peace for them. Definitely praying, please keep us updated! Also, I completely agree with you about each mom making the right choice for their children and families. Thanks for sharing your thoughts. I'll pray for them! I can't imagine their pain and grief. May God comfort and strengthen them. My heart dropped when I saw your post about baby Reese as I've been reading her blog as well. I am praying for them. First I am praying for your friend and her family. I can't even begin to imaging what they are going through. Secondly, I just want to say that I appreciate you saying we are all running the same race as mothers. I am a working mom that sometimes, ok a lot of the time, feels guilty for that. I long so much to be a stay at home mom but that is just not an option. You are such a sweet soul and I truly enjoy reading your blog. I am praying for this family and will continue through out the night. Kelly you are an amazing mommy and I would like to just say I admire you in so many ways. I was thinking of you today when I was feeling sad and down... mostly having to deal with not being pregnant and I think how did Kelly get through those difficult days and how can I be strong like Kelly? I love your couraging and upbeat personality... on my sad days I wish I could have the strength that you have. Take care and I will see you soon! i can't even imagine the pain. i will pray. my heart breaks...but i am reminded to be thankful for my 2 girls. on the mom stuff...i say...AMEN! with my first child...i felt so beat up because i had to work...breastfeeding didn't go so well. i felt like a bad mom because of those 2 things and i didn't enjoy much of my first daughter's first year of life. God gave me another girl in April and i am just trying to enjoy every moment...even though the breastfeeding didn't go well again...and i am working part-time. i am trying to focus more on being a godly wife and mother and not get lost in the details. if you are doing what God's will is...it doesn't matter whether you are home, working outside the home...whatever...you are where you are suppose to be and could there be a better place...no way! thanks for the reminder of encouraging each other...we are definitely in the same race and it isn't that easy at times...but God will get us through. I'm so sorry for friend. THat is so sad :( I am praying for her- she is gorgeous! Oh Kelly - I am so upset by this news about Katie and Reese. I am praying so hard right now for their sweet girl and their whole family. Be near oh God! Will be praying. Thank you shining Christ's light for the world to see. Praying for your friend and her family. I can't imagine. I just don't understand. God does. Thank you for your mommy post. It's amazing how people just give you unwanted advice seems like all the time. You're a great mommy! I'll continue to pray for your sweet friend in the days to come. I have prayed for them...that God will comfort and hold them in His loving arms. Give them peace Lord!! What a beautiful girl. I am praying for her and her husband. I am asking some of my church friends to pray as well. I don't have any words other than I am praying for them and my hearts for this couple whom I have never met. Many prayers going up for Katie and her baby! So sad for your friends. Lifting them up in prayer. Also, great thoughts in your post. The nastiness in the blog world lately is disheartening. I am Praying for her right now! I am so Heartbroken, I read her Blog and I just can't imagine going through something like this, so very unexpected! I'm so sorry your friends are dealing with this. I will definitely be praying! Praying for Katie and her family. Oh, Kelly!! I'm so sorry!! Praying, praying, praying!! Definitely praying for Katie, Jason and baby Reese - God is the worker of miracles!! Amen to the first part about being a mom. Just imagine if everyone spent as much time as they do judging others on actually encouraging and building each other up, wouldn't that be amazing! I am praying for your friend! I had a good friend that just went through a similar scenario and I know how hard it is as a friend wanting so hard to do something to make it all better. Praise the Lord my friends situation has gotten so much better and her little man has been fighting hard. Kelly- said a prayer before I typed this! May God be with their family... I am praying for a miracle. I am with you about the motherhood... you are doing an excellent job and I think all moms should pat each other on the back nomatter what! God didn't make us all the same, however we are "equal" in his eyes.. nomatter what! We all DO run the same race and it's unfair for people to point fingers about how we choose to raise our children. We all do the best we can and it's NOT easy! I am adjusting daily to this new job of being a stay at home mom to a 10 week old! Friend, you have my back... and I know you have mine so lets just keep doing the job we know best! Oh no! I've been reading her blog for a long time. This is sooo sad & I will say a prayer right now! Oh, Kelly, I am so very sorry to read about your friend Katie. I prayed for her, her husband and son when she was in the hospital a few months back. How devastating! I will be praying for them!!! Anyhow...praying for your precious friend! I will absolutely keep them in my prayers and pass the word on to my other prayer warriors! Thank you for sharing this story so we can lift them up to God. I don't know Katie, but I am crushed reading this. 2 years ago we lost our firstborn daughter, Emergency c-section, complications, unanswered questions. I hate knowing others are going through similar pain. I am praying right now. I will pray for your friends. So heartbreaking to lose a child. A sad story to share...Just a few weeks ago I attended the memorial service of a friend's first child--just a few DAYS 'til the due date, the umbilical cord wrapped around baby's neck and she did not survive. The mother went to bed w/ all just fine, woke up not feeling much movement and went immediately to the doctor, only to find out there was nothing they could do. They had to deliver the baby girl--Maddison--whose spirit was already with the Lord, and it was not the joyous occasion they'd anticipated for 9 months. They had to say goodbye to sweet Maddie far too soon. I was at a loss of what to say to my friends at the memorial, as I have 2 healthy children at home and felt almost guilty (does that make sense?). What I really felt was blessed, and just wanted that for them as well. One day, I believe for it! So, while I don't understand the loss first-hand, I will pray for your friend and her husband and their families as they grieve in this time. My heart and prayers for Katie and Jason. We will definately lift up a prayer tonight. I will say the motherhood part is right on. Everyone should do what is best for their own family. I know I work part time but absolutley love my job as a Labor and Delivery nurse but I so love each and every moment I spend with my kids. I have the best of both worlds 2 days of work and the rest at home. Thanks for your blog. I too will be praying for your friends and baby Reese. My breath caught in my chest when I saw the baby's name as my newest niece, Reese Olivia Kelly, should be born in about 6 weeks. My heart breaks for them. I am an "old" mom but follow your blog because I'm in love with Harper and her story. My son will be 23 soon, and most of my co-workers are young girls in their early 30s and there is just so much pressure on them to "keep up with the Jones'" - I don't know they keep their schedules straight some times. We as women should lighten one anothers load, praise each other, support one another - this putting down people for their own very personal views and idea's belongs back in the "olden ages". Keep doing what you are doing Kelly - you've got a beautiful baby girl, a chance to be a stay at home mom, a lovely home, a loving husband, parents & in-laws who love Harper. You are living YOUR dream. And that's all that matters. Keep us posted on Reese & her parents. Hugs to Harper! I am sorry to hear about your friend and her precious baby. I will keep her in my prayers. God can work miracles! I'm believing He can and will! Praying for this beautiful family. I'm so sorry to hear this. Just sent up a prayer for her and her husband. I cant imagine. My heart is breaking for them. I'm praying for a huge miracle! I'm incredibly sad to hear this news. Please keep us posted! And...thanks for the synopsis to the book your not writing. As a working mom who formula fed and feels JUST as bonded as moms who did, but is told often she can't be just as bonded and her son won't be as smart or healthy because she DIDN'T breastfeed, I appreciate your candor and honesty in understanding that we ALL make decisions that are best for US and US alone! Again - Thanks and praying in Canyon, TX! Kelly, I lost a baby girl in November 2007. 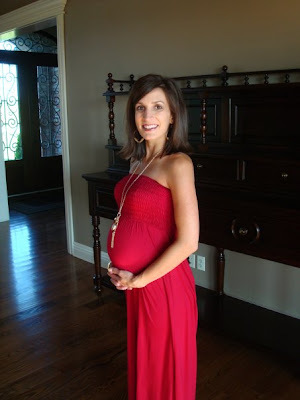 I was almost 8 months pregnant and it was by far the darkest time in my life. I do know in someway how Katie and her family feel, and I'm praying for peace and comfort for them. My baby's name was Addison Grace and she was my first born...and will forever be. God still works miracles and he brought us twin girls, Lily & Lucy, this past March! So I know first hand that although we go through trials and storms in our life, God can bring joy and happiness to us again. I had goosebumps as I prayed...the Lord WILL work in their hearts, no matter what happens. I am praying for a miracle for this couple, as I cannot imagine losing a child. So much love is coming their way!!! I will definitely pray for Katie and Jason. So sorry about your friend. We will be praying for her here in Colorado. I can not imagine the heartache that they feel right now. God be with them! I also just wanted to comment on your mama post. I've had conversations about those things as well and I really think all of us mom's just want others to do what we're doing so we can feel like we made the right choice. Because we can feel so insecure we are desperate to know that others agree with us so we can somehow feel better about our choices as moms. Does that make sense? It's a sad reality. If we could only find our identity in Christ and not in how we parent we might be able to have more and more compassion for other families who make different choices than we do. Thank you for bringing up the subject. Please keep us updated on Katie and Jason! This is heartbreaking. We are praying for this family in Texas! I cannot imagine what they are going through, my heart aches for them and everyone else that is near and dear to this family. I agree 100% with you on motherhood. You are one amazing mom by the way!!! Our Almighty God hears our prayers and Healing WILL be done. Maybe not the way we hope. I am praying for Katie. I can not imagine the pain the family is going through! God is so great though. I know He will carry them through this! Oh this breaks my heart! Praying so hard right now! 1 John 1:1-4 That which was from the beginning, which we have heard, which we have seen with our eyes, which we have looked upon, and our hands have handled, of the Word of life; (For the life was manifested, and we have seen it, and bear witness, and shew unto you that eternal life, which was with the Father, and was manifested unto us;) That which we have seen and heard declare we unto you, that ye also may have fellowship with us: and truly our fellowship is with the Father, and with his Son Jesus Christ. And these things write we unto you, that your joy may be full. Oh most definitely.. this breaks my heart. Can you link us to their blog? I have been praying for that sweet family since Katie went into the hospital a while back. Thank you for sharing this with us, I haven't checked their blog in a while, but still remember them in my prayers. To the first part of your post... I have such a hard time with people who impose their own thoughts or procedures on others. Being a mom is the hardest thing to do and being criticized for our choices is one of the worst feelings. We are all doing the best we can, thanks for addressing that! By the way, I love Harper's little bathing suits... too cute! I just said my prayers. definitely praying for that precious family! Praying and believing for another Miracle! Praying for your friend! Thank you for your comments about mothers and the choices they make. You are so right about that!Everyone's situation is different and sometimes we have to make choices that we are forced to, but we still love our children unconditionally and will do the very best we can. Thank you for being an inspiration to so many! Sending love from South Africa. Absolutely praying for your friend, her husband, their baby girl & for God's mercy to descend upon them and to grant her complete healing and recovery. And I wanted to thank you for the short bit on motherhood. I am a new mother, full-time college student and I work part-time. I breastfed as long as I could but my daughter just wanted the bottle, it is easier than mommy! I pumped only for two months and then realized that I wasn't enjoying my life anymore, everything was dictated by pumping sessions. I decided on the fourth of July that I would rather spend my time with my beautiful daughter than sit in a chair pumping all day and we have been SO much happier! I had a relative make me feel awful about using formula recently, telling everyone I "gave up", it put me to tears for two days. I tried so hard, my schedule just didn't fit with it sadly. This got long, sorry, but thank you for reminding me of what I already know...we are all trying to do the same thing, raise a happy and healthy baby and we all do it differently! I pray that baby Reese will be ok! And you're so right, no matter what choices we make we are all great moms! I can't imagine what they are going through, but I will lift them up in prayer!!!!!!!!!!!!! Kelly, the song playing right now on my blog as I type this is "Our God is an Awesome God." And he is! I am praying for this sweet baby and her family. Love your blog, and Harper is a doll. I am so sad to hear this, I've been following Katie's journey on her blog and just feel so sad about this. I am praying very hard for her this morning. This family will definitely be in my thoughts. I'm constantly looking at my children and know that I am sooo blessed. I cannot imagine what your friend is going through. One reason I began blogging as a way to connect to other mothers. I love sharing tips, info, new baby/kid products, recipes, etc. I have learned so much from other mothers and hope that I am also offering something for the moms out there. I prayed for them right here at my desk. Keep us posted, please! I'm praying for Katie, Jason, and baby Reese. Please let us know if you have any updates. You are a FABULOUS mommy!!!!! Even though I do not have a baby yet, I know what you mean. There is a girl at work that already judges me because I will have to put my child in day care. She is very fortunate that her mother doesn't work and can stay home with her child. I wish I could stay home or that I had someone I could leave my baby with, but I can't. Every situation is different and I wish more people understood that! I am praying here in KY for your friend Katie and her sweet baby Reese. Losing a child is unbearable, and I pray they don't have to experience it. As for your mom post, I am glad you wrote that. I am a new mom - Payton is just 3 weeks old. It is by far the hardest job I have ever had! I struggle every day with decisions I make regarding her. I needed to read your post!! As an expecting mom (I am 12 weeks pregnant) I cannot imagine what they are going through, I am praying for the parents and baby Reese! We will definitely be praying...tough to think about, and she has already been through so much with this pregnancy! Praying for baby Reese and her family! Fear not, we worship a God of miracles who loves to come through for us! Of course I will pray for them. Prayers for Katie, baby Reece and her family. ps... as for the mom post... well said. Thank you for sharing even that littlest tidbit. You are a wonderful mother!! Please keep us posted on Katie, Jason & Reece. I have received so much indirect/unsolicited input on choosing to work that really bothered me in the beginning. It seemed as if others thought I was selfish to choose to be out of the home and felt free to let me know about it. I cut out some social activities/time with girlfriends because I felt guilty for leaving him during the day, which is an important part of any woman's life and leaves you feeling even more alone. Now that he's older & I'm more relaxed with mommyhood it's easier to let those comments roll off my back, but it still makes me angry when I hear someone else feel like less of a mom because of what others have said to her. Mommy guilt takes on a lot of forms and this is mine, I guess! I'm retweeting all your prayers, so I've got friends praying too! Would love an update. Just wanted to let you know that I'm lifting your friends Katie and Jason and their precious baby Reese up in my prayers. May God watch over them and protect their baby girl. Lord we ask you to be with this little family. Wrap your loving arms around them dear Lord and take care of that little baby and be with Mommy and Daddy. Amen. and i love what you said to start your post. i just left a novel of a comment elsewhere this morning and won't do that to you, too, but if we could, as CHRISTIANS, remember to BUILD EACH OTHER UP, NOT TEAR DOWN, the internet would be a much better place. heck just remember what your momma taught you. . . if you can't say something nice, keep it to yourself!! but i'll be praying for katie, her husband and little reese. on your knees, everyone!! Just said a little prayer. Also on the Mom's making other Mom's feel bad - drives me crazy. I think every family/person is different and we can't expect what works for us or anybody else should be what works for everybody. I think whatever is best for you and your family, through God, is what your should do in all cases!! There are a million cases out there of wonderful people - and they came from all types of parents. Lifting them up now! The power of our God is miraculous! Oh my goodness, Kelly! I was just reading her blog the other day--will definitely pray for all of them!! Praying now! Please keep us updated. Thanks Kelly! Will be praying for your sweet friend! Please keep us updated! Praying for Katie, Reese and family as they face this most challenging time. I really appreciate your decisions to stay home and breastfeed Harper. You are an excellent mother! I appreciate even more that you are understanding of us Mothers who can't. I unfortunately couldn't breastfeed Koby because of his Heart Defects and Down syndrome.I was unable to stay home past the 2 year mark because it was too much of a struggle financially. Many of my friends(almost all) are home with their kids. THey make me feel bad alot of the times by leaving me out, or telling me their job is harder. Thank you for understanding! I love your blog! -From one Southern Girl to Another! I prayed for your friends and baby Reese!! I also appreciate your words about mothers. Just this week I've had some comments made to me about the fact that I work, and even though I know why our family's choices work for us, it still made me feel bad. Thank you for your sweet perspective. PRAYING!!! Oh my...brought tears to my eyes. Unfortunately, I feel guilty for the choices I make as a mother. I had no experience with babies before I had my own so I had to rely on books and my mom's info (which is now 30 years old). I tried my darndest to breastfeed. I failed at that due to breastmilk jaundice. I had nothing to do with the fact that my son developed that kind of jaundice (it's a 1 in 500 chance, I think) but I still feel guilty all the time. I feel like a failure when I see another mom getting that chance. I also work full-time. I work not because I want to but because I feel like we have to in order to get in a better place right now. My mom watched my son for the first year, which was such a gift but he starts daycare next week. I can't even explain the guilt I feel and the fear of putting him in someone else's hands. We carefully chose this daycare and I know it will be okay. He will only be in 2 to 3 times a week but I know it will be so hard to let go on that morning. Most the time I'm okay at work and enjoy the projects but some days are just plain HARD! I don't think it's other moms that make me feel guilty though. I think it's my own insecurities! I know I need to trust myself and know that I'm doing the best I can and that no matter what ANYONE thinks, our son is so very loved. Katie's sister, Mandy, is one of my sorority sisters from Baylor. I heard bits and pieces on Facebook last night but appreciate your post so much as it gave the details we were lacking. Praying continuously for this family. Kelly, I just prayed for Katie and Jason and their baby Reese. I am asking for a NOW miracle! I can't imagine what they are going through but I know God is right there with them. What you wrote today was right on. I have seen so many moms judge other moms over the breastfeeding vs. formula and also homeschooling vs. public school. You are so right, we need to encourage each other along the way and not judge each other. My thoughts and prayers go out for Reese, Katie and Jason!! Praying that precious baby recovers fully and praying for wisdom for his doctors to heal him with God's help! Hey Kelly, please keep us updated on Katie. reading about your friend brought tears to my eyes. i will be praying. Praying for them right now. I think loss at anytime is hard but to see the end in sight after worrying all pregnancy and then to see the possibility of it slipping away is far more than I can imagine. However, your story shows us miracles can happen! Praying for your beautiful friend and sweet baby Reese! This is absolutely heart wrenching. I'm praying that the baby makes a turn for the better and a quick recovery. I am saying prayers for Katie, Reese and there whole family. Please keep us updated! Sitting at my desk at work...just had some quiet time and prayed for your friend, her family and her precious baby. I don't know you, and I don't know your friend...but I will be praying for that family! I came across your blog through a friend of a friend. I read what you wrote about mothers and I wanted to thank you. I have a career and I am willing to give it up for a baby if we are financially able. We are trying to get pregnant now, but at this point it doesn't look like I will be able to stay home any time soon. The majority of my friends are stay-at-home moms...some even homeschool...so I feel out of the loop sometimes. In one particular circle of friends, they get into conversations about how God has called us women to stay at home and take care of our children and that it is an injustice to our families if we work outside of the home. They don't ever direct this conversation at me...in fact a lot of the times they get into he converstation without realizing how it may affect me...but, it bothers me. I grew up in a single parent household and I have a much closer relationship with my mom than some of my friends whose moms stayed home...so it can go either way. You have to be intentional about being the best mom you can be for your children in your given circumstances...and like you said, don't judge the circumstances and decisions of other mothers. ((HUGS)) to your friend Katie! My daughter's friend, Katie is undergoing her first round of chemotherapy today. So, I have "Katie" on my mind. I'll add your friend Katie as well. I know what she is going through. I spent 25 days in the ICU with my son last year and he died. It's truly unimaginable. This is my first visit to your blog. I have no idea how I found you. I just wanted to add my prayers for your friends Katie and Jason, and baby. Thinking of your dear friends as they go through the hardest time of their lives. Praying for the Rowe family and little Reese! I just prayed, and will continue to do so. God knows all the details. Thank you for sharing your heart today, I have really been struggling with this for the past month. Praying for your friend and her baby. praying for sweet katie and all of their family. i am a friend of mandy - i haven't heard an update since very early this morning. is there an update? i can't stop thinking and praying for them. hey kelly..i have read your blog for awhile and thought you may appreciate this websit if you haven't already heard of it.. I am praying so, so hard for Baby Reese, Katie and Jason. May all of our prayers lift them up. O Dear Lord in Heaven please be with this family in need today. We know you are there with them. Comfort them Jesus and have your angels around their baby. In Jesus name I pray. Amen. I have been praying for Katie, Jason, and baby Reese all day. Please update us if you know anything else. I also wanted to say that I appreciate everything you said about how all of us moms are equal. I struggle with being a working mom on a consistent basis, and I think a lot of it has to do with what other moms have said to me and I let those comments get to me. I really needed to hear this!! And...if you wrote a book, I would definitely read it! :) I would also love to hear more about what you think on this. praying for a miracle....i just cant even imagine :(. please keep us posted! Please let us know about any changes! Praying for your friend and their little Reese. Praying for your friend Katie. I'm praying for Katie, Jason, and baby Reese. I read her blog as well, and I am hoping that God will perform a miracle that only He can. Thank you for the info and for all that you do. He is the God of miracles and I am praying right now for little Reese and her parents. PRAYERS... i am sending multiple prayers.... right ... now. He is a Lord of Miracles and Hope! Prayers are on their way from Virginia! I'll be praying for your friend - please keep us all posted if you can!!! I never thought I'd be "glad" to hear that a baby was in a coma but that sounds much better than the original info you rec'd!!! Lifting up Reese and her family in prayer to our heavenly father, the great physician! I am so sorry about your friend--I have recently stumbled upon your blog and enjoy it so much. I am due in 3 weeks with my third child and I can only imagine what she is going through. I'll be praying here in Kentucky! You might remember us, we have 13 children and one of our 3 yr. twins underwent cancer and then a tumor ruptured in his head and the Dr.'s declared him braindead. If our family could be any help, we are here. Its a tough situation. We felt like the scripture speaks that "life" is in the blood and even though Joel was non responsive, his heart was beating and his blood flowing. Your friend Katie is certainly in my thoughts and prayers. My heart breaks for her, I hope all is well and a happy ending is ahead for her family. Already praying for your friend and baby Reese. Reminds me of how sick precious Harper was and look at her now. Prayer does work! Please let us know when you find out more. I'm a fairly new reader to your blog. My heart breaks for this family, and I'll definitely be praying for them. Thank you for your mom post. We mamas certainly need to be better about encouraging one another, rather than judging. Praying for your friend, her husband, and their sweet girl. And I think you should write a book ... in all of your free time :)! I'll be praying for your friend and her sweet baby. Her story really resonated with me. It sounds very similar to our experience with our son, Nate. He is now 6 years old, not without challenges, but precious in every way! I'm the Mother of Kinsey and Grayson... both of them in Heaven now. I know how it feels to lose a baby...twice. I pray that Katie doesn't have to know that feeling. Praying like no tomorrow...what a tragedy, God must have needed another angel. Prayers abound! I am so sorry to hear about your friend. I will be praying! Praying in ND for Baby Reese! I agree with you on the book you won't write. I have been both a formula feeding and breast feeding mama. A single college student mom and now a married working from home mama. Every one has strong opinions one way or the either on many parenting topics. However I have learned you do the best you can for your kids every day. It is the best for them if you are happy. A happy mama makes a happy child. I'm praying - I've been in those shoes, prayers and love give you courage to get through. You're a really good friend, Kelly - nice to meet you. There's nothing sweeter than praying for a complete stranger! You don't know them, there's no ulterior motive, just plain and simple prayers that things will get better for them. Katie and Jason, our prayers are with you. Although we may not understand it now, GOD will never give you more than you can handle!! As far as the advice and guidance. It is exactly that. Write your book best you know how. Everyone has something to offer. Children don't come with books, so we do the best we know how, with what we've learned from life. Good luck and prayers are with you and your friends!!!!!!! Laying them at the Master's Feet. Praying God also gives you wisdom in how to support and comfort them during this time. God Bless! May angles come to their aid & hold their tears! I will pray for your dear sweet friend like i have never prayed before! I can not imagine the pain they are going through right now. I pray the Lord will fill her heart with comfort and peace. Bless they sweet heart. I have followed your information about your friend Katie. I cried when I found out she had passed away. I am praying that the Lord comforts them! PS....I just LOOOOVVVEE your blog and loooovvvve Harper's little smile!!! I don't think I have ever commented before....but I just had to let you know that I think you are precious!! You have such a sweet spirit, and the love of the Father exudes from you in abundance. I am one of those mommys whose child DID die just 5 short hours after birth...and I miss him more than I desire to take my next breath of air...but I am so glad that you did not have the same outcome. Never feel guilty that you got to "keep" Harper; I rejoice with you and thank God above that He is still so good! Thank you for your transparency, and I pray God blesses you even more than you can imagine.